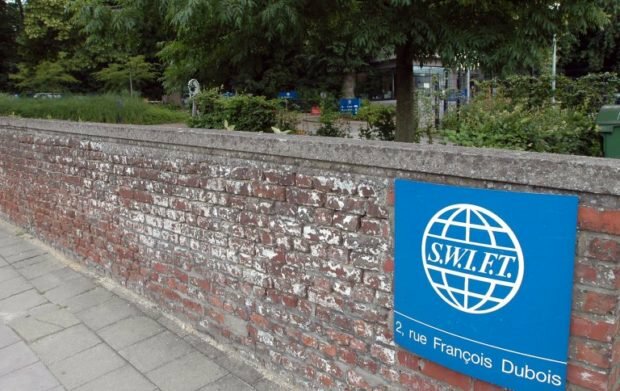 The global financial messaging service that moves money around the world’s banking system, known as SWIFT, acted to cut off Iran’s Central Bank and other designated Iranian financial institutions from using its system. The action by SWIFT is the latest economic blow to hit the mullahs in Tehran and is widely considered to be one of the most severe sanctions in the U.S. arsenal, next to secondary sanctions on any country or company attempting to buy Iranian oil. It also continues the onslaught of sanctions resulting from the U.S. withdrawal from the Iran nuclear deal despite the best efforts by the Iran lobby to cry foul and warn this is a prelude to war between the U.S. and Iran. His statement neatly encapsulates the main point of the Trump administration’s decision to re-impose economic sanctions. The choices the mullahs have made for Iran since doing the deal with the Obama administration have dictated this course of action. Contrary to what Iran supporters such as the National Iranian American Council have continually maintained, the Iranian regime has consistently chosen to follow a path of sponsoring terrorism and initiating conflicts with its neighbors while diverting billions from its economy to bolstering its military; literally starving the Iranian people. The mullahs’ actions – and no one else’s – have determined why sanctions were re-imposed. The Iran lobby has tried to always frame the decision as unilateral on the part of the Trump administration, but it has been Iran that has consistently been the provocateur and instigator of the worst episodes in the Middle East such as Syria’s civil war, Yemen’s insurgency and Iraq’s sectarian conflict. SWIFT links more than 11,000 financial institutions in more than 200 countries and territories and without access to the system, the Iranian regime’s ability to move and transmit foreign currency is severely curtailed. It was the cut off from SWIFT during earlier economic sanctions that were widely credited for helping bring Iran to the bargaining table in the first place. Mark Dubowitz, the chief executive of the Foundation for Defense of Democracies, said the decision by SWIFT would reduce Iran’s room to maneuver around sanctions, but that it wasn’t meant to hurt the country’s people. The Iran lobby predictably discounted the effect of SWIFT removal in the past and its impact in the future. What Parsi fails to mention is the unprecedented level of domestic discontent at home where the mullahs have been battling almost constant demonstrations, protests, strikes and other signs of disobedience from all sectors of Iranian society. The range of protests include Iranian women objecting to moral codes that govern their dress, public conduct and access to jobs and education to truck drivers, small business owners, farmers and government workers who have decried widespread government corruption and an economy in a death spiral. Supporters of the regime have tried to come up with all sorts of excuses and oddball theories as to why U.S. sanctions will not work. Max Keiser, a stockbroker-turned-TV personality, told Russia Today that the move will help lessen global dependence on the U.S. dollar in favor of stockpiling gold. Keiser should stick to broadcasting since his monetary theories are more appropriate for late night comedy shows. Even as European leaders supportive of the Iranian regime have tried to cobble together an ad-hoc system of alternative payments for Iran-related business transactions, U.S. Treasury officials expressed little concern. The U.S. expects to find other “mechanisms” with which it will work together with European countries to address Iran’s destabilizing activities, said Sigal Mandelker, a senior U.S. Treasury Department official. While the Iran lobby may point to these token efforts as signs of a resistance to U.S. sanctions, the truth is that Asian and European companies are voting with their money as they pull out of Iran.